Have you noticed that your money mindset — your beliefs and attitude towards money — needs a tuneup? Let's talk about tools to help you shift from a scarcity to abundant mindset. Most people need to work on their money mindset. Heck, I even have to work on my money mindset — and I talk about money for a living! What is Money Mindset Definition? Your money mindset is a collection of your beliefs about money, your perceptions about money, and your attitude about money. You could have an abundant money mindset (this is the good kind), or a scarcity mindset (this is the kind I have!). Much of your money mindset is a product of your childhood and life experiences with money. No matter what your money mindset is right now, know that you can work on changing it. Since this is a very common money mindset to have — it's the one I have — I'd like to touch on what exactly it is. A scarcity mindset is approaching money resources thinking that there is lack. It's thinking that no matter what, money is a limited resource, and you won't ever be able to “get ahead” or be in the same playing field as others who obviously “get” money. You don't have to believe in any type of woo-woo money energy to know that when you make decisions from a place of stress and lack, they're not the same kinds of decisions you would make when you feel abundant. 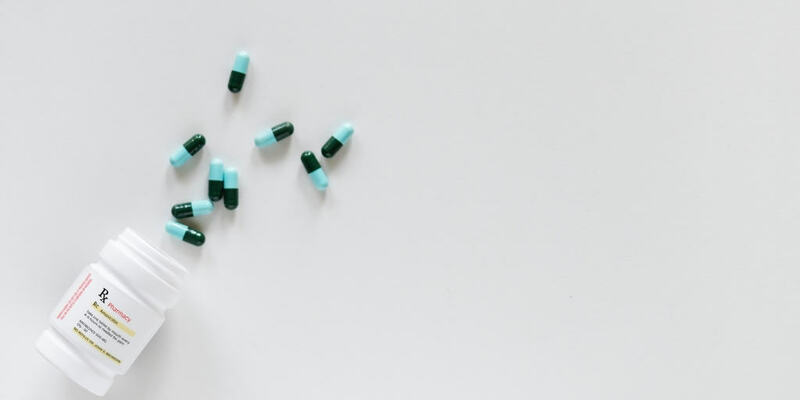 They're the kind of decisions that could keep you in the loop of lack and the scarcity mentality instead of ones that will ensure you don't get back to this place again. Sometimes those decisions are out of necessity, so no judgment here. 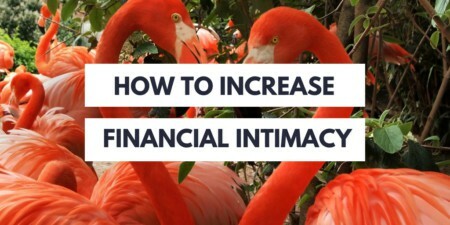 But I'd like to help you with feeling as abundant as possible during times of lack so that you can see the bigger picture, know you'll get out of it, and make financial decisions that not only help in a pinch but further you + your goals ahead. What do I mean about decisions from a place of lack versus from a place of abundance, and why does that make a difference to your future prospects? Setting Yourself Up to Miss the Sales Cycle Stock-up Price: In our household, my husband goes through certain items like crazy. Mustard and pickles come to mind. When these items hit the stock-up price, I should purchase 2-4 of them at once so that I will have enough to get me through until the price drops to its lowest again (usually around $1.00). But if I'm feeling lack and am tightening up the purse strings, then I will likely only purchase enough to get us by. Meaning in two weeks I'll now have to purchase the product for about $0.50-$1.00 more (times 4, as that's how many we would probably need on a typical 12-week sales cycle) than I otherwise would have paid. Choosing the Higher-Costing Plan for the Phone: You're dying to get that new Smartphone but haven't saved up a penny for it. So when you see a two-year contract plan that gets it down to a price you can afford, instead of realizing (and holding off a bit longer) that for the next two years you'll more than pay for the cost of the phone by the bloated plan costs, you go for it. Now you're stuck in a plan that is bleeding your cash flow too much each month, making it more difficult for you to save up for that next new gadget upgrade two years from now. Taking Social Security Too Early: The longer you hold out before starting your social security payments, the higher your monthly check will be. So if you start panicking about where the money's going to come from in the gap years between retiring and your first social security check, you could be looking at a significantly smaller lump of money over the long-term (especially since people are living longer than ever before). So how can you turn your scarcity mentality around to one of abundance (or at least one headed in that direction) rather than one of lack…especially when your bank account is hanging out on the lack side of the equation? Make it Sparkle: Clean the house, clean your car, clean something. It's free, it gives you a mood-boost, and it works. Go Shopping…Seriously: Go to a thrift store with $10 and go shopping! Seeing how far your money can stretch can temporarily bring you out of a funk. Especially if you're in an “I'm-broke-and-can't-afford-things” holding pattern. Change Your Backdrop: Are your surroundings feeling a bit stale? Google your area + free and see what pops up. Maybe there's a festival or a trail you haven't tried, or some place you can go to where you can pack snacks/a lunch and let part of your day unfold. Focus on Gratitude: One of my favorite things to do throughout the year is to take one of those rip-away, one-a-day, calendars (the small ones that fit on your desk), and each morning ripping off yesterday's page, turning it over, and writing three things that make me grateful. Or five. Or ten. Or perhaps just one if that's all I can muster at the moment. Then I collect the used pages in a small bin and every six months or so I read through them. What a treasure of gratitude this creates both each day as well as during those precious sit-downs where I can see just how blessed I am. Cash in Reward Points: If you've got reward points to cash in, go ahead and treat yourself. Compare Yourself with Others: Usually I'm hugely against this one…but it's great to put your life into perspective. Using tools like WealthOMeter.org or GlobalRichList.com to really put your own wealth and good fortune into perspective compared with the rest of the world. You can go about changing your money mindset much in the same way you would change anything else. Gain Awareness of the Character of Your Money Mindset: First of all, you have to be aware of what your money mindset even is. As you go through your days and weeks, pay special attention to the thoughts and beliefs you have about money. Even jot them down — this will be helpful for you to get an accurate picture about what you think when it comes to money. Figure Out How You'd LIKE it To Be: How do you WANT your money mindset to be? It's important to know how you want to feel about your money, and the thoughts you'd rather not have about money anymore. Get Knowledgeable On the Money Mindset You Want: This is the fun part. I'm going to share with you lots of resources for how to find the money mindset information you need so that you can really change your attitude about money. First up, I want to share with you several of my own money mindset shift tips that will really help you to rethink money and life. Here's something that's true about money, whether you've got a lot of it, not enough of it, or are comfortably in between: money is a tool. What it does and does not do for your life is up to how you choose to use it. I know people who can squeeze two quarters out of a dime (ahem), and others who can't seem to make it to the end of the month on their $100,000+ salaries. The thing is, you aren't born knowing both the beauty and devastation of compound interest – depending on which side of the equation you're on – or of other money-isms. There is a learning curve, as there is with any tool. 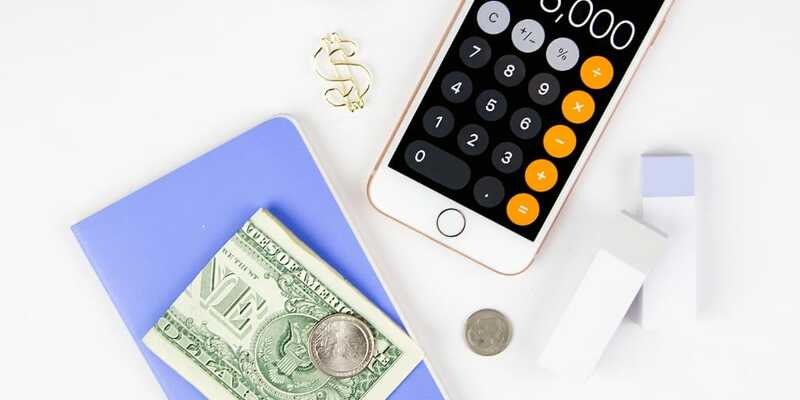 Most of us are not blessed with unlimited bank accounts and fat wallets, and perhaps we've found ourselves or witnessed our parents in some financial muck that shaped the way we view money. In my own personal experience, and from what I've seen in others, we give money way too much power over our lives, and many times, even fear it. I spent much of my early twenties thinking that money was something to be feared. I felt lucky enough to have my necessities covered, and saved like a mad woman because I didn't know when the well would dry up. While it was a great blessing to accumulate savings, pay off debt, and to understand the importance of covering necessities before luxuries, I've slowly evolved to understand that I gave money an awful lot of power over my life. What's actually true is that you and I hold all the power when it comes to our cash. So how do we learn to effectively use money as a tool to live our lives to the fullest? 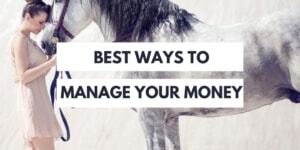 Forget About the Money: Take a few minutes to forget about money altogether. Seriously. Declare Your Priorities: With that taken out of the equation, write down, say out loud, or otherwise declare what your priorities are (hopes, dreams, the things that make you happy). What gets you out of bed in the morning? What makes your heart skip a beat? Ensure You Can Cover the Necessities: Now let's get back to the money. You have to cover the necessities, and yes, saving part of your income is a necessity. 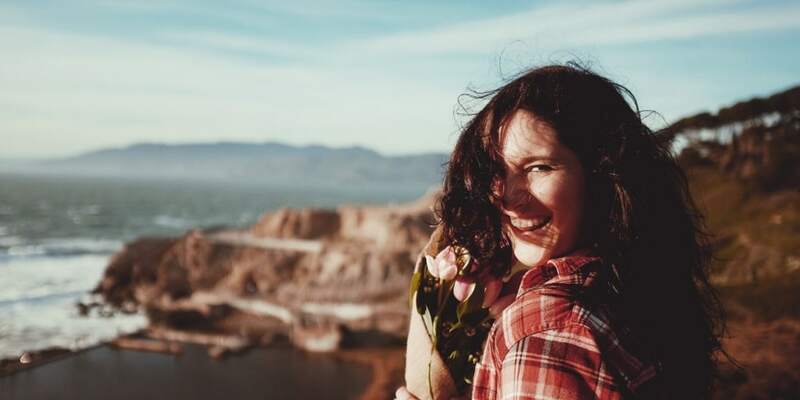 Support Your Priorities with the Rest: With the leftovers (and if there aren't any right now, then root around this blog for some great ways to find more money in that paycheck of yours) you want to fund the things that make you and your family happy. End of story. It's a slow, continuing evolution for me to understand that if I want to use money effectively – meaning cover both my necessities and have it support the kind of life I want to live – then I've got to learn to see it and to use it for the tool that it is. Just like my laptop does not pry open its clam shell-exterior and write juicy stories for me, money does not choose how it is spent. It is me – and you – who have that kind of power in our lives as long as we learn how to use the tool we've been given. The thing is, the “if only I had…” type of thinking handicaps us from moving forward. It puts us in the position of daydreaming of all of the changes we would make with better resources. The only thing is, these resources do not exist. It doesn’t mean they may not one day appear—more money, more time, flexibility, help from someone—but in this moment, they are not here. So instead of living in our current circumstances and figuring out how to move forward with what we have right now, we are comfortably paralyzed in daydream world. And in daydream world, we don’t have to face the circumstance. Stuck is the feeling that this eventually leads to. Without facing our circumstances, we cannot move forward. It’s okay to squirm in discomfort a little bit, and it’s okay to feel a little hopeless — as long as you are motivated to get out of your current situation. Make three columns titled, “Situation, If Only I Had…, and How to Move Forward Now”. First Column: Write down the situations you are currently facing under Column 1. Second Column: Write down each of the resources you feel that you need or want in order to overcome this problem. Third column: Brainstorm your way around your limits. Write down the resources that you have at your disposal at this moment, any ideas that come to mind for how to move forward (even if they seem silly), and any substitutions to the things in Column 2 that are readily available to you. Instead, I chose to move forward. What did I use that was at my disposal? Since I was laid off, I had ample amount of time. I already owned a laptop, and I went to the library and checked out a book on how to become a columnist. And here we are! Just like when the underdog is made to shine because they have found a way to get through a circumstance on the coattails of something previously seen as a handicap, we can turn our own limits into positives. Often it just takes some thought, and a shift in perspective. What sort of situations are you facing right now? What are the things you wish you had, and what is actually at your disposal? Let me show you what a typical day of a full-time blogger/writer could look like (and oftentimes does): social media updates on Twitter and Facebook, thank-yous to people who have linked to articles on my blog, responding to commenters (thank you guys! ), commenting on others’ blogs to increase exposure and to get to know people, tending to basic maintenance (updates to plugins, tweaking), monitoring blogging statistics to try to form patterns (where is traffic coming from, which articles garnered the most traffic, which social media site should I concentrate my efforts on, etc. ), writing/editing/posting articles on the various sites I staff write for, checking stats on my new eBook, responding to the 50+ emails I receive daily, reading through and reviewing book review copies I’ve been sent, etc., etc., etc. In other words, I could live the rest of my days getting bogged down with the details, my head just slightly above the waves so that I can maintain status quo and take a few weekends off. But then how would I grow? How would I reach any of the goals I have set for myself? About a month ago I reflected on the last four and a half months of self-employment. I was shocked to realize that some days I did not write a single paragraph. Not one single word. Instead of working on pieces that moved me, I allowed myself to be inundated with details. Making this realization allowed me to fix the problem; by purposefully putting my head in the sand and focusing on the bigger picture, I’ve been able to move forward. Though the details I listed above still need to get done, I have found that if I want to stop treading water on my goals then I need to fit in the day-to-day blogging details around the meatier chunks of what really matters and not vice versa. Distractions are everywhere, sometimes of our own making. It is so easy to get sucked into everything that is going on around you—sometimes a good thing, sometimes a bad thing—that you miss out on opportunities to move forward with your goals. 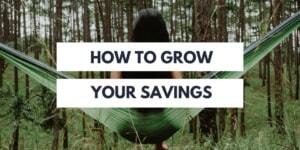 Specifically for financial goals, since we live in a culture of mass consumerism, it is particularly easy to become distracted from paying down your debts and saving money for both short-term and long-term use. Just turn on the television without a DVR to fast-forward through commercials and you will see what I mean—everywhere is the message to spend, spend, spend, despite adding onto or creating new debt for you. Even despite adding months onto achieving your goals. So my advice to you is this: unplug. Slow down communication. Set aside a block of uninterrupted time each day, if possible. The distractions will always be there, right where you left them, in case you need them. What will not be there are the days, weeks, and months of time spent on all of the little details instead of focusing on a few big ones. The results from strategically placing your head in the sand every once in a while may truly inspire you, just as they are beginning to do for me. It's time to declutter your life, and give yourself a bit of a reset. Think about where your daily mental energy drains are. Are there people you're avoiding because you haven’t taken the time to speak to them about something? Are there financial accounts you can’t remember a password on and do not want to go through the process of getting a new password so you just make do without looking at them? Are you failing to make a trade in your investment portfolio all because you don't quite understand the process and don’t want to make that 15-minute phone call to learn how? How about all that nagging paperwork you've yet to fill out? Here's what I want you to do. Block off one hour (two if you're ambitious) to actually get these pesky little details taken cared of. By blocking off an hour or two to address several of these little issues at once — which in and of themselves are not necessarily worthy of fixing, but have grown to become quite the nuisance — you can add mental energy and ease back into your days. Freeing up energy means you can tackle something else you’ve been meaning to get around to, or simply enjoy the mental clarity. Thankfully, none of our house issues were difficult to deal with. My husband, Paul, was more than happy to realign the front door bolt so that it now seamlessly opens and closes. We installed a magnetic strip on the kitchen cupboard door so that it will keep the door shut nicely, and it took a $6 part to stop the toilet from ever running again. Not only is it easy to go about my day now, but I smile each time I remember those stupid little annoyances and how convenient it has become. It was totally worth our time! What are your nagging daily nuisances in your home, at work, in your finances, etc.? Have you had enough yet, and how long do you estimate it will take you to knock some of them out and hit the reset button? The fact is, even though I can be a perfectionist sometimes, and even though I have grandiose ideas that flop to the point of barely succeeding, I can still look back and realize from time to time that I got somewhere. And the only way that I got anywhere at all (besides an uncanny amount of stubborn persistence I probably picked up while mucking manure on our family dairy farm) was because I started from where I was, with what I had. Even though it wasn't “good enough”. Even though it wasn't what I wanted. Even though it felt like I should throw in the towel on the whole thing. I really want you to do the same with your finances. Be it paying off debt, saving up for retirement, learning how to manage your money, saving for a trip, scrounging together a down payment for a home you're sure you'll never see — start from where you are, with what you have. One year from now, you will be so happy that you set up that $50 monthly savings automation, or added it to your monthly home mortgage payment, or didn't skim that cost of living increase off the top at work and instead upped your 401(k) contribution by 1%. Because by not taking these little steps, you'll be at the same point you are now except a whole year will have passed by and you might just give yourself a Homer Simpson-sized “Doh” slap to the forehead. Most importantly — something I fail to do almost as a default mode — is you have got to honor the journey you've already been on to get you to this point. Things don't just happen by accident, or at least not very often. You may not be where you'd like to be in any area of your life (I know my video production is certainly not up to par with what I see in my head), but you are progressing, changing, moving, and creating forward momentum where before there was inertia. **If I'm smart, I'll realize I wrote that last paragraph as much for myself as for you, and will remember to return to it time and time again as I continue putting my work out into this world. I absolutely love to learn, and I absolutely love to read. SO, you can bet I've read lots of fabulous money mindset books that I can't wait to share with you! Denise is all about helping you to first identify your money blocks (blocks around you living an abundant life), and then releasing them. , so how would you know what money blocks you have? I'm actually in her course, which is awesome, but first? I read her book Get Rich, Lucky B*tch. Hint: she's also got a YouTube channel! It's geared towards women entrepreneurs, but there's lots of golden nuggets in there to help with your money mindset. uplevel your life. This is very timely with how to work on your money mindset, because as you uplevel in the money area, you'll probably uncover some fears that you didn't even know were there. One final thought: changing your money mindset is lifelong work. You'll always have something to work on — we all do — so don't be upset if the process doesn't go as quickly as you'd like. In this moment, you are exactly where you were meant to be!